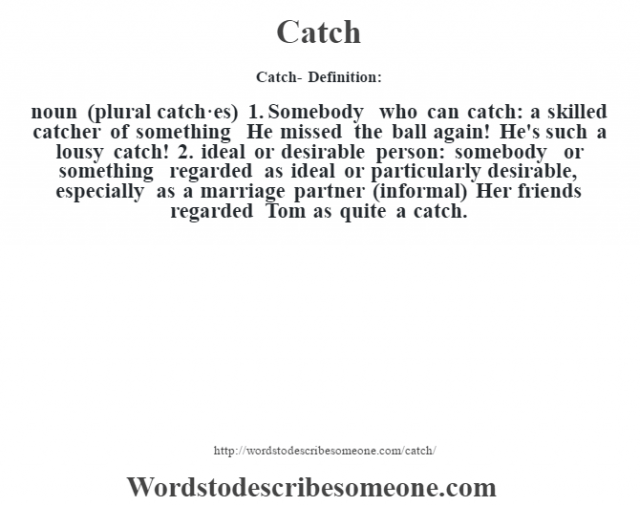 noun (plural catch·es) 1. Somebody who can catch: a skilled catcher of something He missed the ball again! He’s such a lousy catch! 2. ideal or desirable person: somebody or something regarded as ideal or particularly desirable, especially as a marriage partner (informal) Her friends regarded Tom as quite a catch.